Tallahassee Community College (TCC) is one of the most searched for colleges in America, according to a recent internet keyword search of basic two and four year colleges. TCC, established in 1965, is located in Florida's state capitol, and has a very large undergraduate enrollment of more than 38,000 students. Roughly one third of the students at TCC are enrolled full time, while two thirds are enrolled only part time. TCC is a member of the Florida College System. This college is accredited by the Florida Department of Education and the Southern Association of Colleges and Schools. Huffington Post has ranked TCC as the 8th best community college in America, in terms of costs and 4-year college transfer rates. Here are the answers to some of the most frequently asked questions about Tallahassee Community College. 1. Where is Tallahassee Community College? The Tallahassee College campus is located at 444 Appleyard Drive, on the west side of Tallahassee, Florida. The zip code is 32304. The main campus is located about 3.5 miles west of the State Capitol building. TCC also has service centers at 223 Pat Thomas Parkway in Quincy, and at 2932 Crawfordville Highway in Crawfordville, as well as locations in other parts of Tallahassee, and the Florida Public Safety Institute at 75 College Drive in Havana. 2. 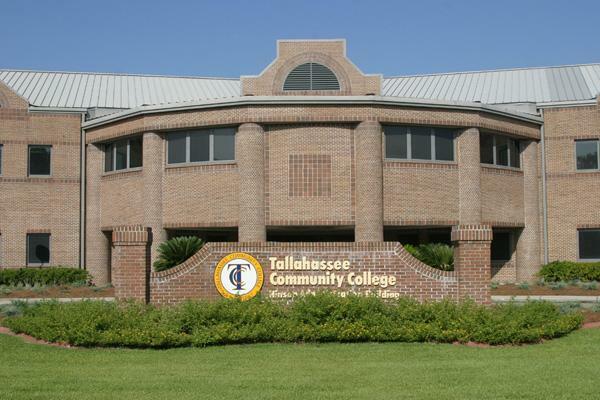 What courses and programs are offered at Tallahassee Community College? Among the academic divisions at TCC are Behavioral Social Science and Education, Business Industry and Technology, Communications and Humanities, Healthcare Professions, Science and Mathematics, and Transitional Studies. Some of the most popular career courses offered at Tallahassee College are accounting, business management, computer programming, dental assistance, engineering technology, firefighter training, graphic design, HVAC Technology, law enforcement, machining, nursing, office administration, pharmacy management, web technologies, and welding, to name only a few of many vocational certificate courses available. 3. What certificates and degrees are offered at Tallahassee Community College? TCC offers Associate in Arts degrees for students who plan on transferring to public Florida four year universities starting in their junior year, such as Florida State, Florida A&M, or Barry University. Tallahassee also offers Associate in Science degrees for students who plan on becoming employed immediately after graduation. Additionally, Tallahassee College features all of the college credit certificates mentioned above. These non degree programs serve the dual purpose of providing the student with valuable job skills for a specific skilled profession, while still earning college credits. TCC also offers a Bachelor of Science degree in Nursing. 4. Who should attend Tallahassee Community College? TCC is especially ideal for students who plan on transferring to one of Florida's public universities (especially the nearby Florida State), starting in their junior year. 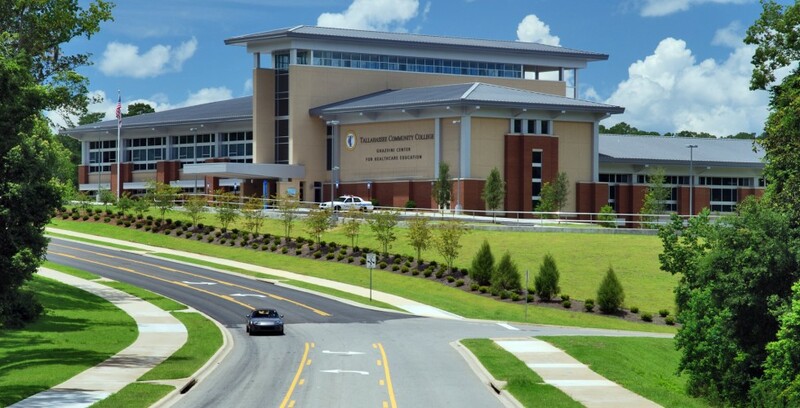 TCC is of particular interest to people studying healthcare and law enforcement, as the college has separate campuses for these purposes. However, Tallahassee College is also a good choice for almost any cost-conscious individual who lives in or around the city of Tallahassee. TCC is also appropriate for people who wish learn the job skills necessary to obtain any of a number of vocational certificates. A certificate can get you a well paying job in your chosen field of study. A certificate may also enable an existing employee to get a raise, by adding or improving valuable skills. Conveniently, some certificates may also be used as college credit, should the holder decide to attend a university. 5. Why attend Tallahassee Community College? Among the greatest benefits of enrolling at a community college are convenience and affordability. TCC offers a wide range of academic and trade skill courses, at a reasonable rate per credit. TCC also offers a broad range of online courses. Another good thing about community colleges is that they are totally accessible. If it happens that TCC is not the right fit for you, other nearby community colleges and trade schools in Tallahassee include the Aveda Institute (cosmetology), Flagler College (business administration and elementary education) and the Lively Technical Center (aviation and healthcare professions), among others. 6. How much does it cost to attend Tallahassee Community College? According to the TCC website, the total cost of tuition for credits toward Associate degrees at Tallahassee College for first time students during the 2018 school year is approximately $101 per credit hour for Florida residents, and about $387 per credit hour for non Florida residents. The cost of adult vocational (non degree) training is $2.67 per clock hour for Florida residents, and about $10.68 per clock hour for non Florida residents. Other fees may also be added. Scholarships and financial aid are available to many who apply. Roughly 84 percent of TCC students receive financial aid. 7. How long does it take to earn a degree or certificate at Tallahassee Community College? For students who attend TCC full time, it takes approximately two years of successful enrollment at TCC to earn an Associate in Arts degree or an Associate in Science degree. Most vocational certifications also take two years. However, students can choose their rate of progress. Part time students will take longer to earn these degrees and certificates. On the other hand, students who take an overload (more than a full time schoolwork schedule) can complete their degrees in less than two years. 8. What is the Tallahassee Community College campus like? The pretty suburban campus at TCC features 270 acres of smoothly paved walkways and lush, leafy trees, adorned by a well maintained combination of classic and modern architecture. There is also plenty of on-campus student parking. Among the 24 buildings on campus are an Academic Computer Center, an Advanced Manufacturing Training Center, a Performing Arts Center, a library, a lecture hall, a student union building, a fitness center, and many more. The TCC campus does not have on-campus student housing, but does feature a 70,000-square-foot sports complex and a fantastic student bookstore. The athletic teams at Tallahassee College are called the Tallahassee Eagles. The school colors are blue and gold. TCC sports include baseball, basketball, cross country running, and softball. 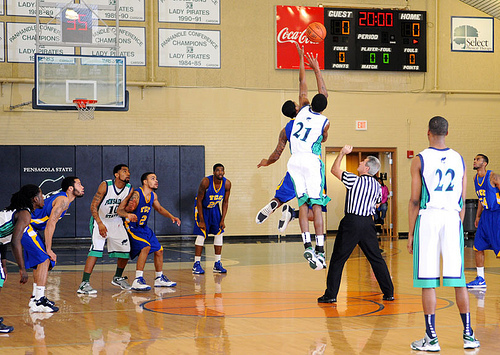 The campus athletic teams compete in the Panhandle Conference of the Florida College System Activities Association, a division of the National Junior College Athletic Association. Two former TCC athletes competed in the 2008 Olympic Games. One former TCC baseball player was recently drafted by the Baltimore Orioles. Other campus groups enjoying physical education include a dance company and a cheerleading squad. Outside of the worlds of sports, the TCC campus also features music groups, theater groups, a debate team, a fine art gallery, a student newspaper (The Talon), and a literary magazine (The Eyrie). 9. What is the Tallahassee Community College neighborhood like? The walkability score is fair. Within easy walking distance of TCC are a Subway sandwich shop and a cafe. Fortunately, the campus is conveniently served by four routes of the Star Metro bus service, which can get you all around Tallahassee and back. 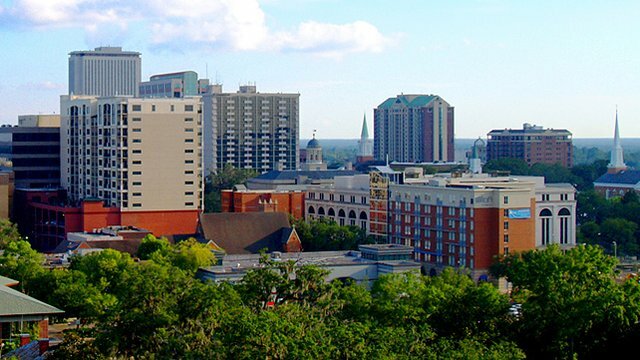 Among the many Star Metro stops are Florida State University, Tallahassee International Airport, the Greyhound bus station, Governors Square Mall, and numerous restaurants, to name just a few. Just north of the TCC campus is the Lively Technical Center. Surrounding the TCC campus are a number of apartment complexes, which appears to solve the on-campus student housing problem. Other neighborhood conveniences include all the commercial amenities college students need. 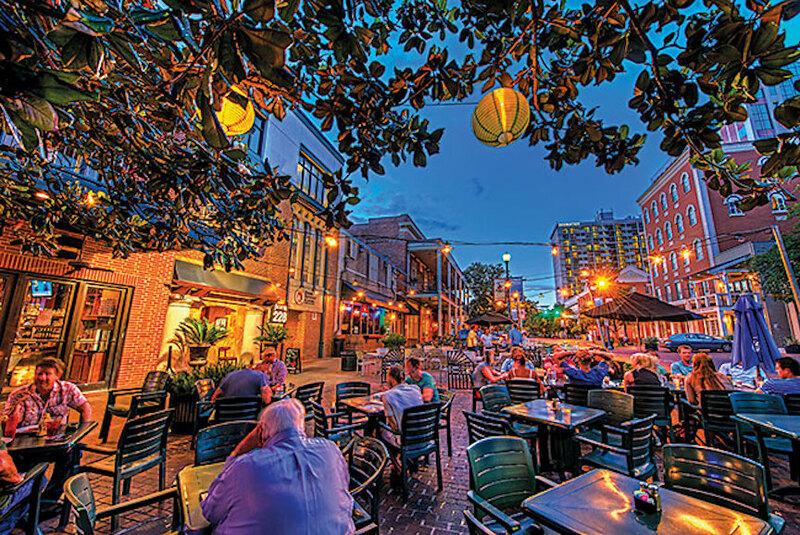 Tallahassee is, after all, a college town. Approximately two miles east of TCC is Florida State University. Roughly three miles south of TCC is the Tallahassee International Airport. 10. Does Tallahassee Community College offer distance learning? 11. What is the contact information for Tallahassee Community College? You can contact the main campus of Tallahassee Community College by calling 850-201-6200. The fax number for TCC is 850-201-8414. To reach the Gadsden service center in Quincy, call 850-558-3620. To reach the Wakulla service center in Crawfordville, call 850-922-6290. To reach the Florida Public Safety Institute in Havana, call 850-201-7000.